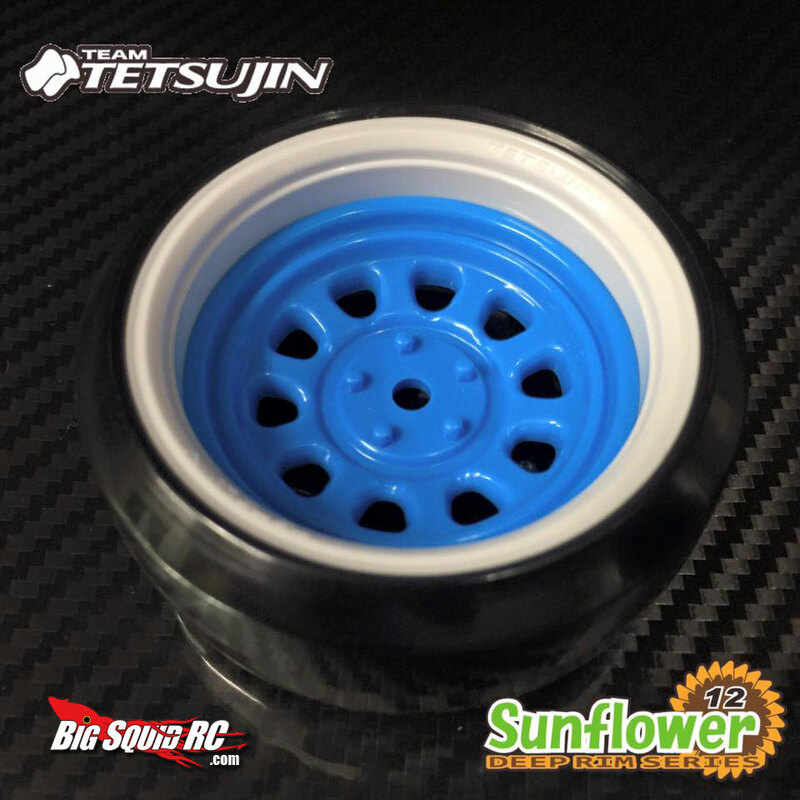 Tetsujin Sunflower deep dish drift wheels « Big Squid RC – RC Car and Truck News, Reviews, Videos, and More! 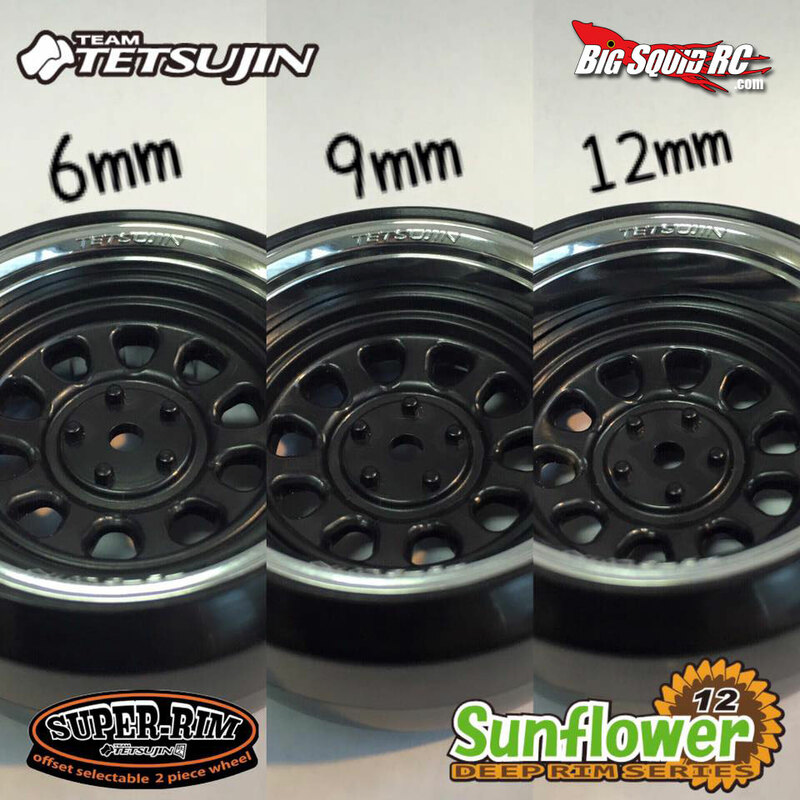 Tetsujin has released another style for their deep dish super rim lineup. 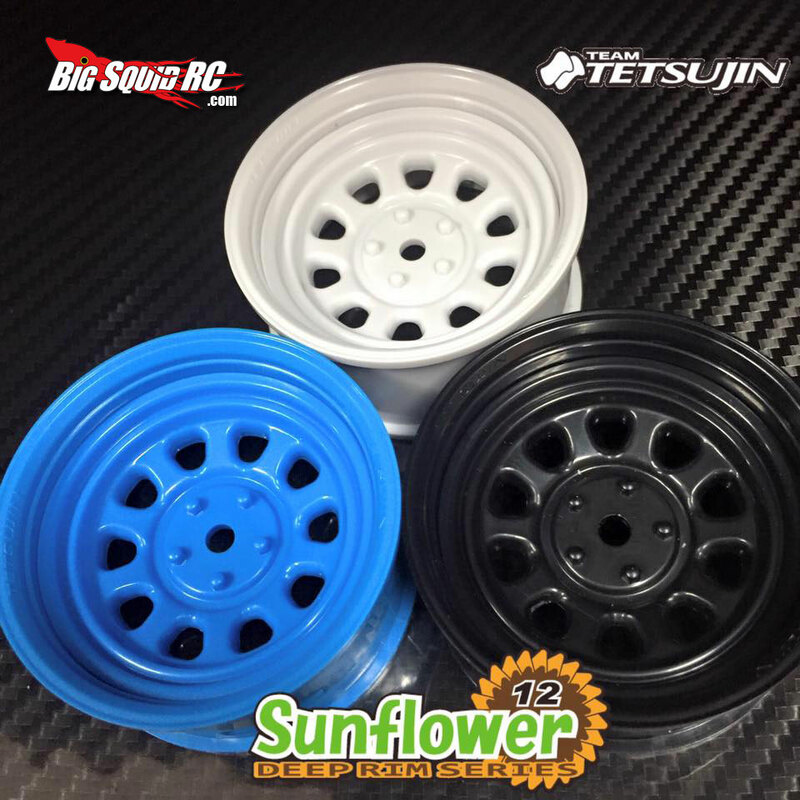 The Sunflower is designed to look like a painted steel wheel popular with some drifters. 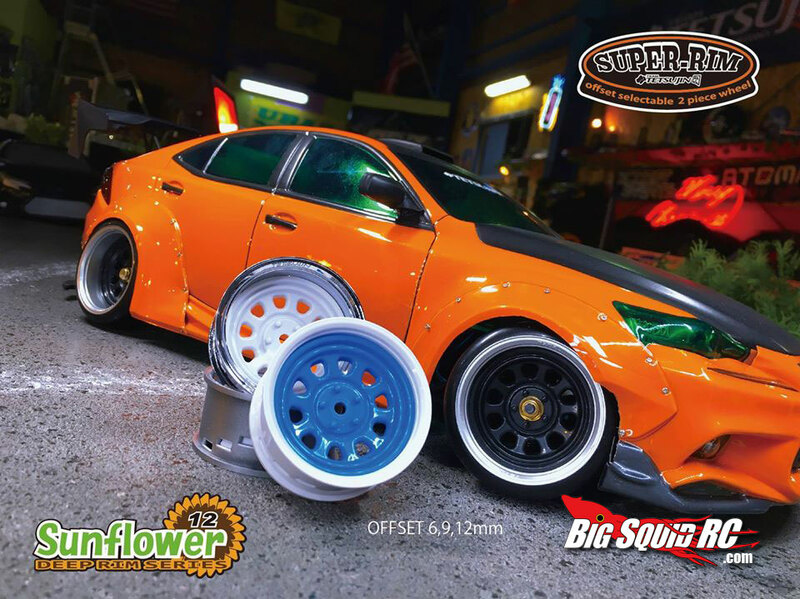 They feature same 6,9,and 12mm selectable offset of the other deep dish wheels and come in several colors for you mix and match. These are available now for about $7.50 a pair. Want to grab a set? You can find them here.